Rockville, Maryland. 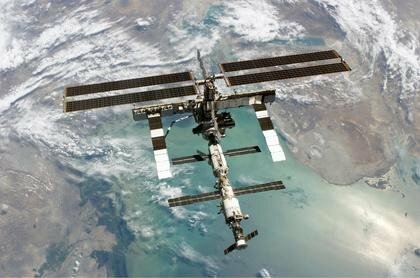 July 21, 2014 – As part of an SGT, Inc.-led team, Lockheed Martin will provide mission and flight crew operations support to NASA for the International Space Station (ISS) and future human space exploration. These support services within the Integrated Mission Operations Contract II (IMOC II) are critical to the safe operation of all NASA human spaceflight missions. Under IMOC II, Lockheed Martin will provide expertise to support mission planning and preparation, crew and flight controller training and real-time mission execution at NASA’s Johnson Space Center in Houston. Lockheed Martin also will provide ground-based human spaceflight services for the Orion Multi-Purpose Crew Vehicle, for which Lockheed Martin is the prime contractor, and new commercial cargo vehicles. In addition to this new NASA support contract, Lockheed Martin manages, stores and maintains more than 3 million items for the ISS crew and keeps the station supplied with critical items to sustain the crew and continue important scientific research. Lockheed Martin also supports Johnson Space Center by providing a broad range of engineering, science and technical services.